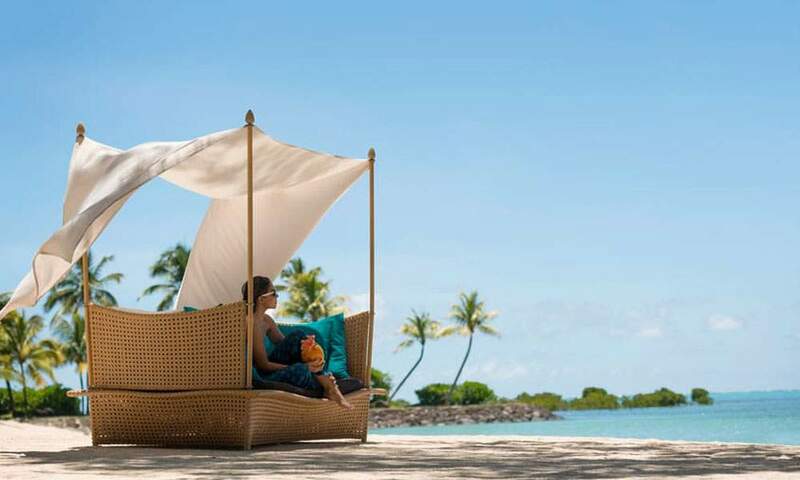 Cocooned within a stunningly scenic private sanctuary Four Seasons Mauritius embraces boundless views of blue waters and green-blanketed mountains - a perfect location for your Mauritius golf travel. 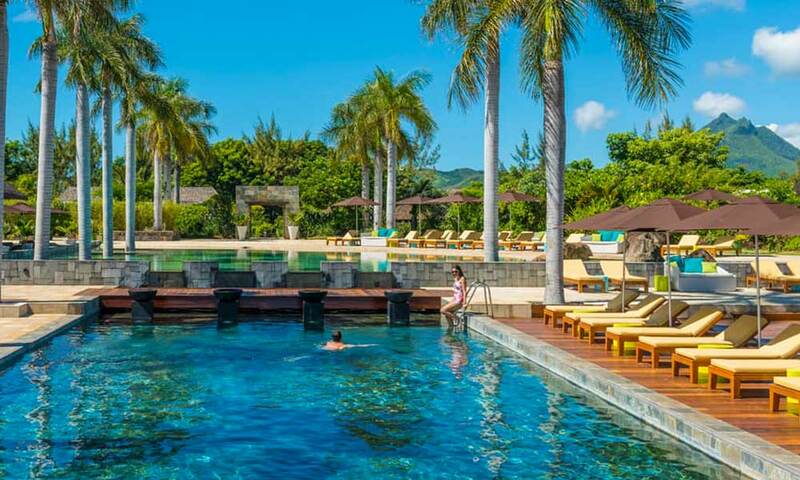 A Mauritius golf holiday at Four Seasons Mauritius provides superb accommodation with large windows and doors allow seamless indoor-outdoor living designed to inspire connection with the beautiful natural surroundings. Designed by Ernie Els, Four Seasons Golf Club is a 7,440-yard, 18-hole, par-72 championship course with large fairways and five sets of tees. 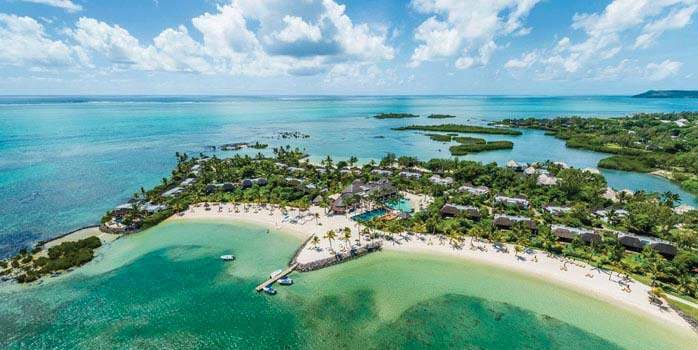 Six stunning ocean-front holes culminate in a final shot that is among the most spectacular in the world - the perfect location for the Mauritius golf holiday of a lifetime. 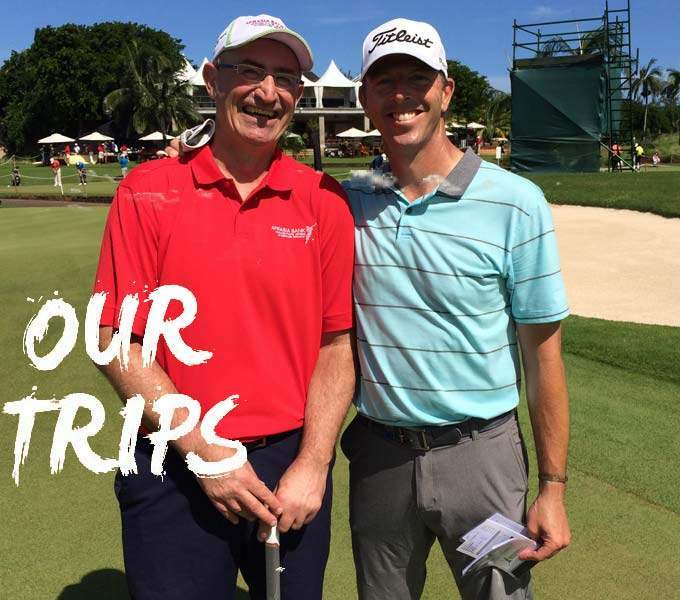 Stuart rates this as the best golf course on the island. 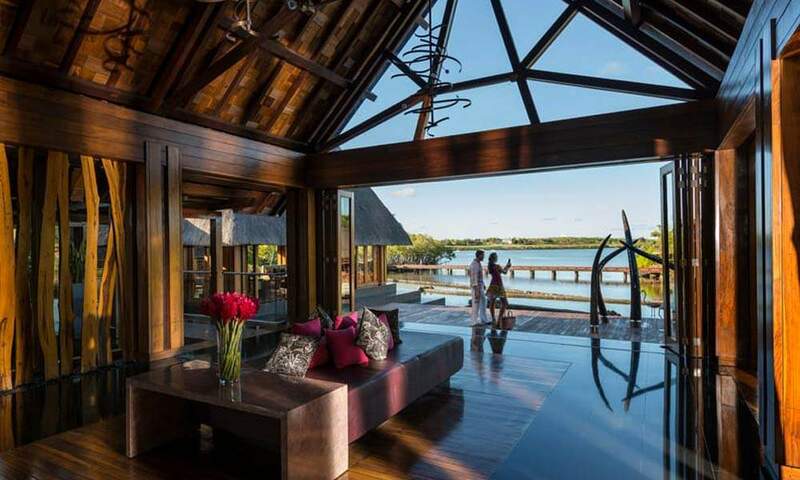 This wonderful Four Seasons Mauritius honeymoon offers half board in a garden villa with a private pool. New for 2019: Exclusive New Beach Experience! 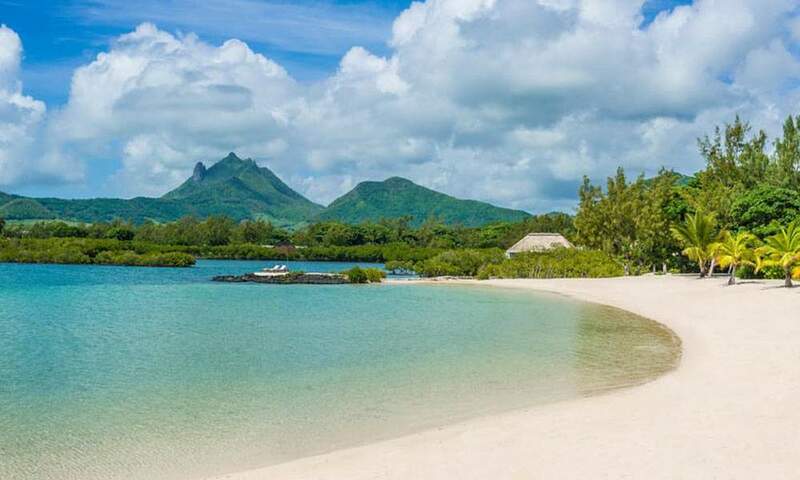 In addition to the resorts two recluded beaches within it’s ground, Four Seasons at Anahita are now offering exclusive access for resort guests to a picturesque cove on Ile aux Cerfs. 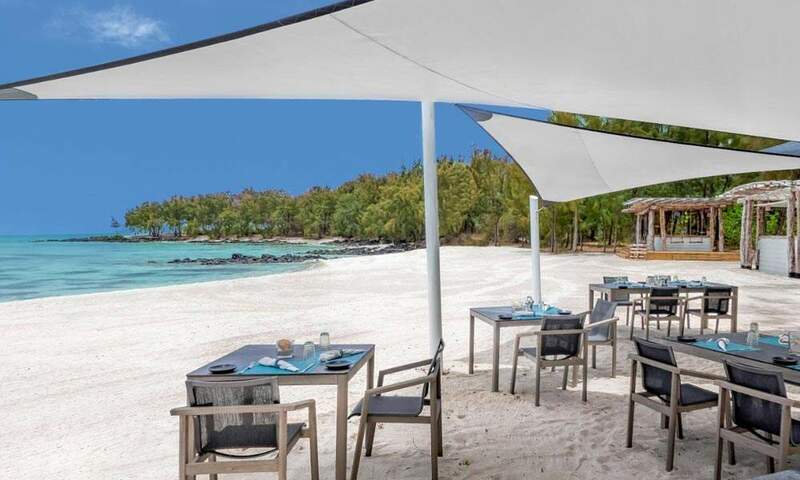 A short transfer by speed boat will offer views across the east coast lagoon before guests arrive on the undisturbed coast of Ile aux Cerfs to sun loungers, a new beach grill restaurant and assistance from a dedicated team of waiters. 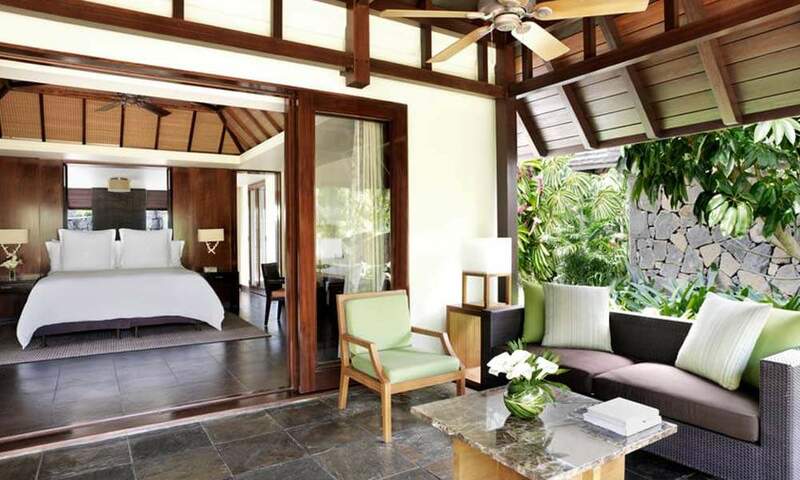 Enjoy the very best of modern resort luxury in our Sanctuary Ocean Pool Villa. Bathe in a private infinity pool just metres from the Indian Ocean lagoon or recline and unwind in your spacious, contemporary lounge for the perfect paradise retreat. Large windows and doors allow for inspiring views and a sense of peaceful seclusion. The outdoor space includes a plunge pool, a daybed, a covered patio with dining area that seats four, and a beautiful garden. High-tech comforts include a 165-centimetre (65-inch) plasma screen television with DVD player, private bar, tea/coffee maker, espresso machine, iPod docking station and wireless Internet connectivity. Bring the outdoors inside. Located on the Resort’s private island, our Beach Pool Villas in Mauritius sit right on the golden shores, with plenty of outdoor recreation space and a private plunge pool and garden. With steps leading directly to the tranquil waters of the lagoon, our Ocean Pool Villas in Mauritius sit on the Resort’s private island. Enjoy leisurely meals and quiet naps in the spacious outdoor living and dining area. 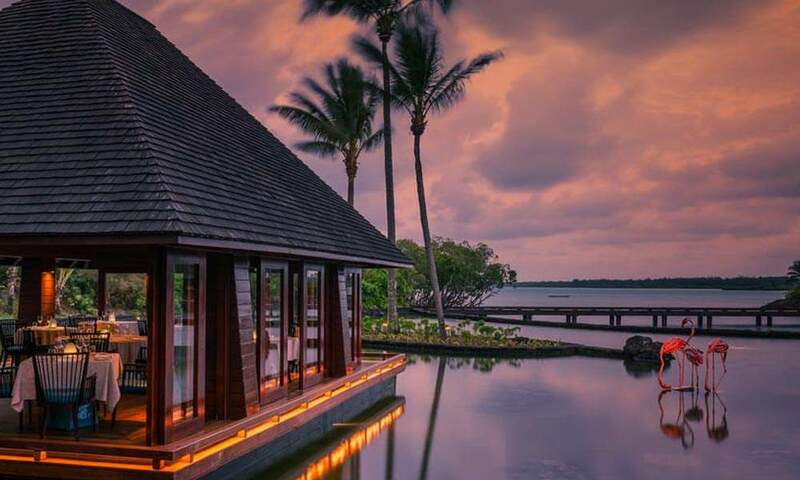 Conveniently located on the mainland, our Mangrove Pool Villas in Mauritius offer private garden views as well as panoramic views of mangrove trees. They villas a must for nature lovers and photographers. 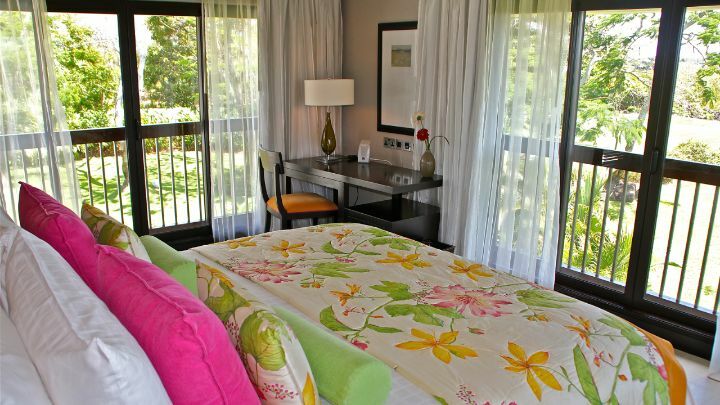 Our Garden Pool Villas in Mauritius offer beautiful views of their own private landscaped gardens. Unwind amongst the natural beauty of the tropical surroundings with a meal in the outdoor dining area. With a prime location on the tip of the Resort’s picturesque private island, the luxurious Presidential Suite Sanctuary is a flexible three- to five-bedroom hideaway offering panoramic lagoon views. The new master bedroom looks out to a sunrise infinity pool and adjacent covered patio, while a spacious lounge connects the Suite’s two additional bedrooms. The covered patio with adjoining swimming pool and daybed offer the perfect private escape and Bambou Beach is a minute’s walk away. 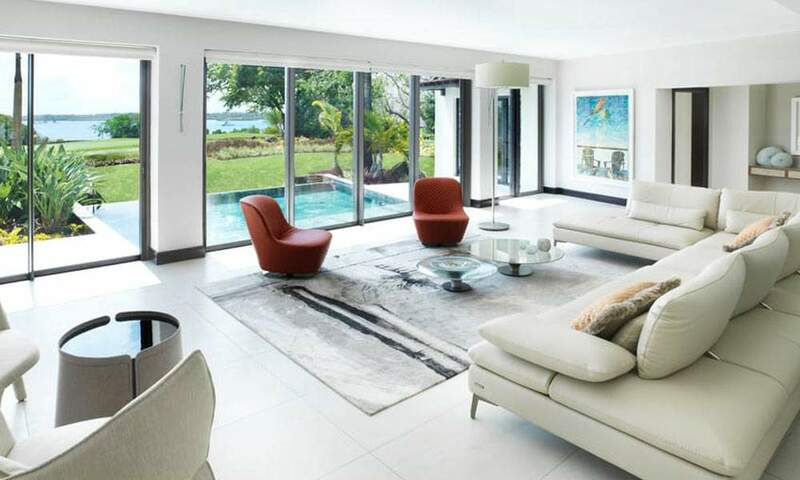 To accommodate larger parties, the Presidential Suite Sanctuary has the option to connect to the neighbouring One-Bedroom Ocean Pool Villas via an outdoor corridor. 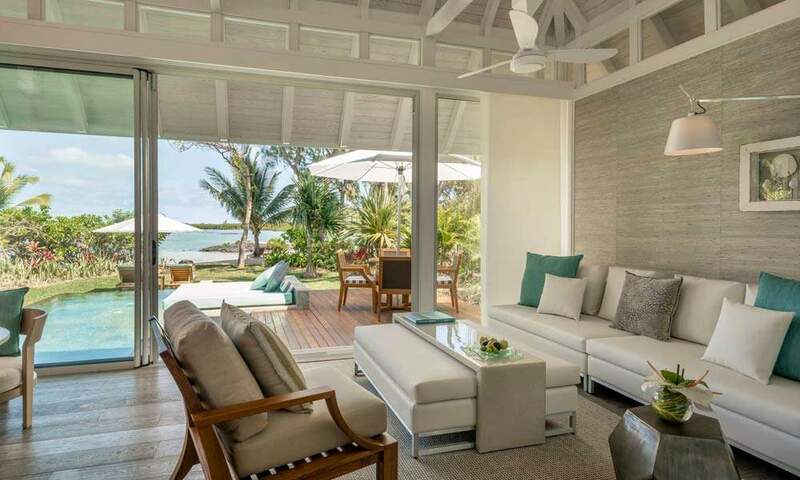 Located on a stunning peninsula with thrilling lagoon views, the Four-Bedroom Royal Residence Villa has exquisitely appointed interiors blending Mauritian tradition with modern minimalism. The residences features ensuite bathrooms with outdoor showers on the ground floor bedrooms, dining and living room, a fully equipped kitchen with adjacent family room, a guest powder room and a first floor terrace that offers stunning views of the Mauritian scenery. There is also an adjoining heated infinity-edge pool with sun loungers and a dining area for up to 12 and an additional private plunge pool. Located in a coveted position on the mainland, our Five-Bedroom Deluxe Residence Villa is a short walk to the Ile aux Chats private island and beach, and comes with a patio and adjoining private plunge pool. Our Four-Bedroom Deluxe Residence Villas offer beautiful views and are a short walk to the Ile aux Chats private island. There’s plenty of room to relax and entertain in the spacious indoor and outdoor living areas. 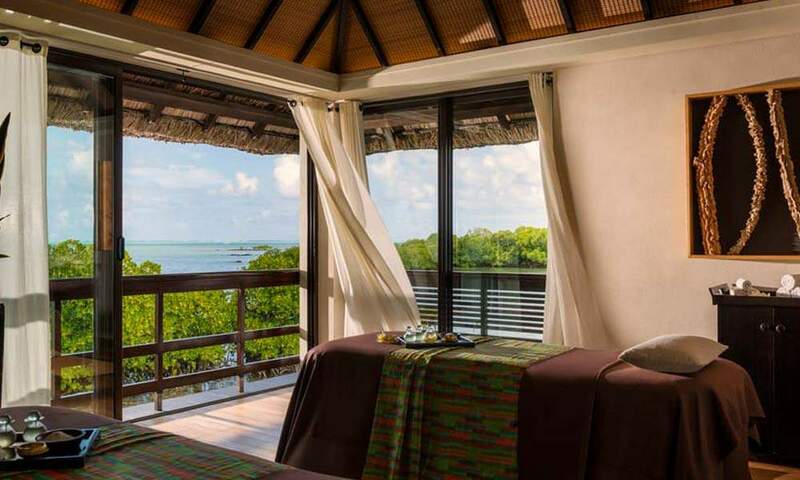 Enjoy the privacy of a secluded peninsula along with panoramic views of a lagoon and natural mangrove formations. These villas feature spacious indoor and outdoor living areas and a covered patio with a private plunge pool. Situated on the mainland, Three-Bedroom Garden Residence Villas offer the exclusivity of a private home, with spacious living and dining areas. Enjoy a cold drink or a sunrise breakfast on the covered patio with adjoining plunge pool. Located on the mainland, our Two-Bedroom Garden Residence Villas offer ample room for friends and family to experience Mauritius together, with spacious indoor and outdoor living areas and a covered patio with adjoining plunge pool. Please note that the use of golf carts will be compulsory for all bookings made after the 3rd of December 2018. This is applicable during the months of October, November, December, January, February, March and April to ease the flow of players on the course. The use of trolleys and walking will only be allowed on instances when the use of golf carts is not practical due to excessive rain. 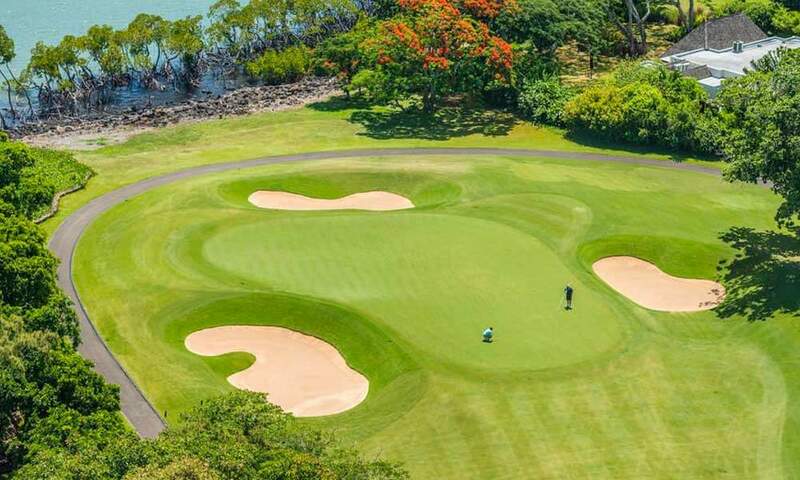 The newest championship golf course on Mauritius, and one that could quite quickly become the best on the island, is the Ernie Els designed Anahita golf course, part of the Anahita Resort on the island’s east coast. par 72 layout can play to 6,828 metres (7,467 yards) from the back tees, or to a variety of shorter distances from different sets of tees right down to 5,588 metres (6,111 yards) from the gold tees, or 4,971 metres (5,436 yards) from the ladies’ tees. 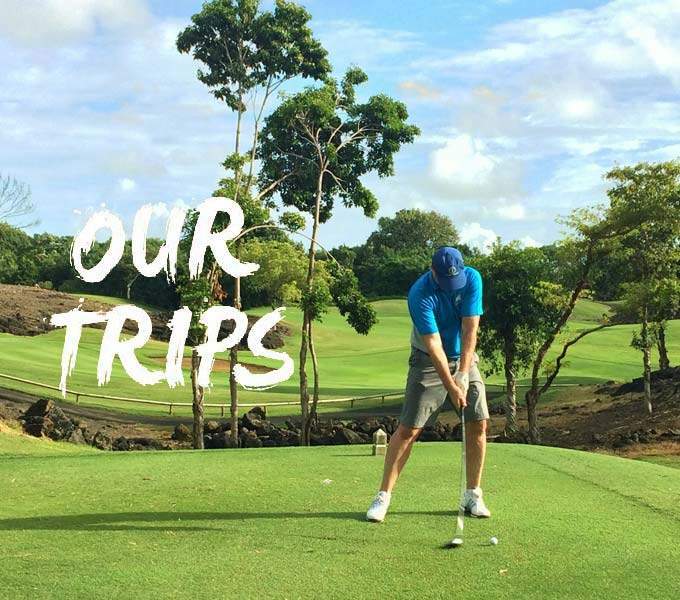 With wide fairways and friendly rough the course will not be too hard for average golfers, depending on which tees they choose to use, but the further back you go the more challenging Anahita becomes for even the very best of golfers. Els himself, currently ranked third in the world, teeing it up from the back at the short eighth, a par three that plays down towards the Indian Ocean usually into the teeth of a stiff breeze, could not reach the green here, 233 metres away, even with a full blooded driver. Deep bunkering, on the fairways and around the greens (in some of the greenside bunkers you can barely see the top of the flag let alone the bottom), makes for a major hazard whilst large, natural ponds come into play on three others. The Indian Ocean also comes into play occasionally with six oceanside holes, most notably at the par three fifth where, from the back tee, you face a tough 200 metre carry to the green across the sea. One of the elements that makes golf so different amongst sports is the beauty and variety of its playing fields. These days golf courses come in many shapes and forms – ancient, modern, links, mountain, ocean, desert and swamp. Unique and unusual sites for golf courses are few and far between but now prepare for something unlike anything you have experienced before and add to the above a new description of a golf course – the island course. In commenting on the site, course designer and two-time Masters champion, Bernhard Langer had this to say, “I have had the opportunity to play professionally on a global scale. 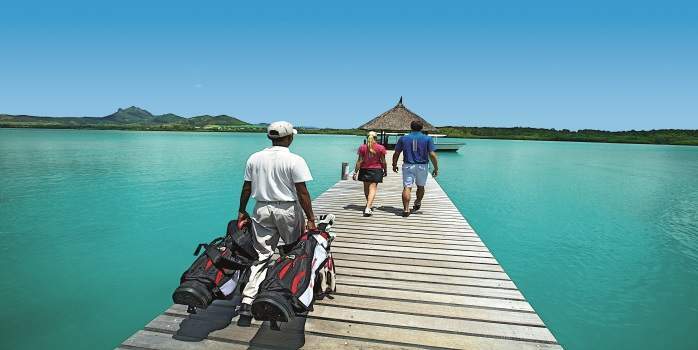 Le Touessrok Golf Course occupies its own island, surrounded by a spectacular coral reef. 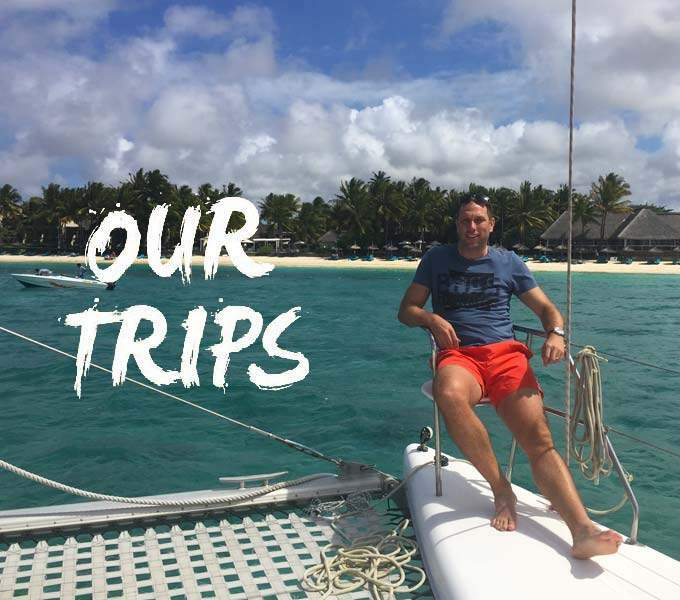 Add in the azure blue waters lapping at white sand beaches and the backdrop of an ancient volcanic mountain and I don’t know of any golf sites that compare. 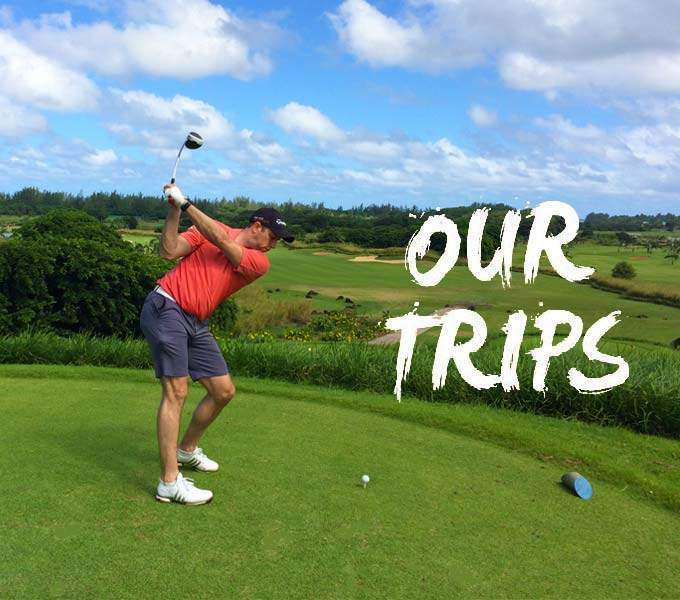 A truly unique golfing experience with 18 holes of ocean views”. 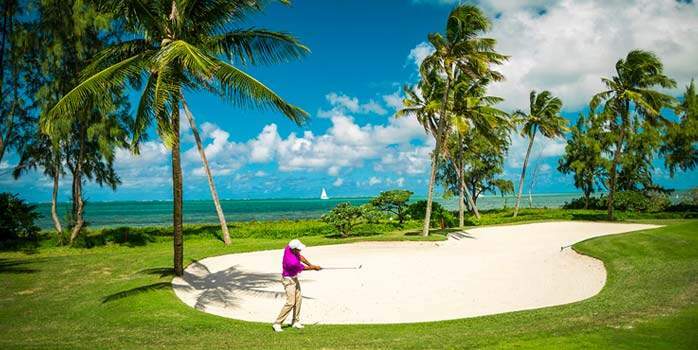 Indeed the golfing experience at Le Touessrok promises to be all this – new, unique and distinctive. 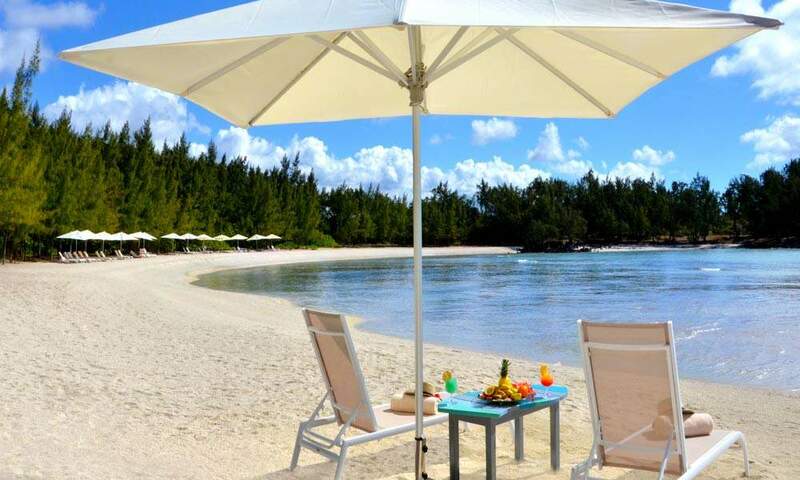 The island lies a short and gentle 10-minute boat ride across the bay from Le Touessrok. 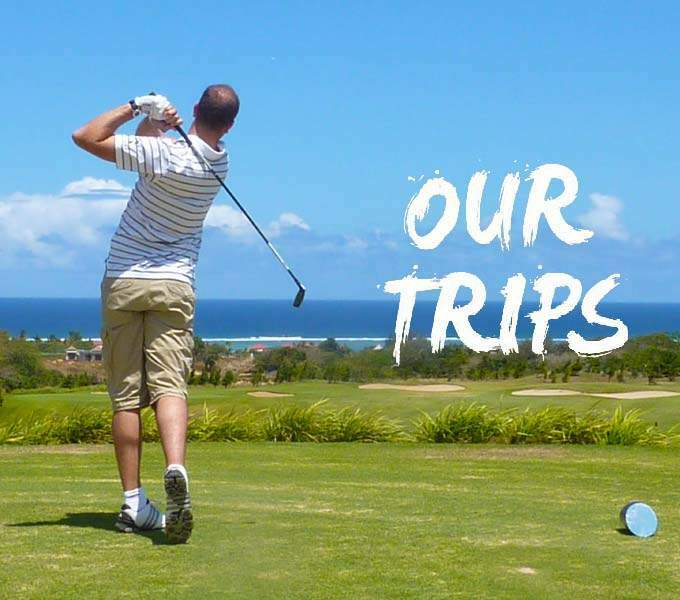 The fresh sea breeze and gentle ocean swells are just the perfect way to prepare one for the golfing challenge ahead. And what lies ahead is a Championship course measuring 6476 metres (or 7082 yards) from the back tees. If you’re willing to take up the ‘championship’ challenge and play from the tips be sure to bring your “A” game. Your choices are many and varied with almost every hole offering risk and reward options. But at all times remember that designer Bernhard Langer is renowned as one of the game’s most disciplined strategists and taking the safe, more conservative route, will often pay handsome dividends. High handicap golfers will find the course very challenging and the back tees provide a very stern challenge for the advanced player. The spectacular opening hole introduces one straight away to the look and feel of this outstanding golf course. A good tee shot down the right side of the fairway must carry a natural pond and volcanic lava rock face which was uncovered during the construction of the course. The green at the par four, 5th hole is guarded by one of the prettiest tidal pools found on Le Touessrok, while the 6th at 601 metres is the longest hole on the course playing along the full length of the island’s spectacular white beach. The 7th hole provides players with their first glimpse of the mangrove forests that surround the west or inland side of the island. Even at only 114 metres the short 8th is no pushover. This little gem of a par three requires a demanding tee shot to a green perched high above the fairway and surrounded by mangrove trees and volcanic lava outcrops. The par five, 11th hole plays towards the sea and doglegs sharply to the west giving players their first views of the stunning mountains on the mainland. Take a moment or two to enjoy the seaview from this elevated tee. It is often said that every great course design includes a short par four that tempts the long hitter to go for the green. The 14th measures just 308 metres from the tips and the courageous or maybe reckless player might well have a go with his tee shot. But be careful of the mangrove forest, as a ball going left will almost certainly be lost. The tees at the short par four 16th Hole stretch out along a ridge that dramatically changes the direction of play on the hole. From the back tee there is a daunting carry over the mangroves while from the forward tees a straight shot will be rewarded with a relatively simple approach to the green. The green sits nestled in a small tree-lined dell protected in front by two small volcanic lava outcrops. The tee shot at the 17th must carry what appears to be a sea of treetops but is of course a mangrove bay. The mangroves come into play on the last hole as well, as they must be negotiated on both the drive and the approach shot. Because of the island nature of the course one might assume that it is fairly flat, in fact, the opposite is true with one of the main features being the dramatic changes in elevation. Sited on the highest point on the island and overlooking the 18th hole is the club house, which bears the same architectural theme as that of Le Touessrok and includes a fully stocked Professional Golf Shop, locker room facilities, lounge and 68-seater restaurant and casual bar with 180 degree views of the golf course, mountain backdrop and surrounding ocean. And for those who feel their game might need some fine-tuning there is a Golf Academy and practice area with five target greens, as well as putting and chipping greens.